Welcome to the CW, Supergirl. We hope you keep having fun. It’s a jungle out there. 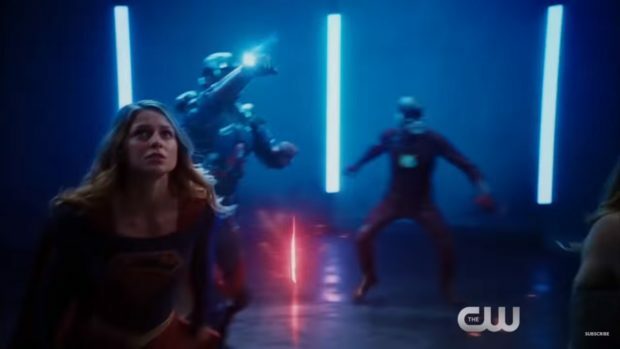 The CW released this video today featuring representatives of each of their superhero shows. It’s cool; it will have nothing to do with the season arcs (we think), and everybody looks like they’re having fun. And I mean this as a compliment — Brandon Routh has never sounded more like Christopher Reeve. It is so great that he got a second shot at superherodom. The Flash returns tomorrow night with “Flashpoint.” Let this tide you over a bit.